DoorTech Sudbury can keep your automotive shop up and running with our sister company Precision Hoist Services. We can supply service and install automotive lifts and are an authorized dealer for Challenger Lifts one of the best in the market place. 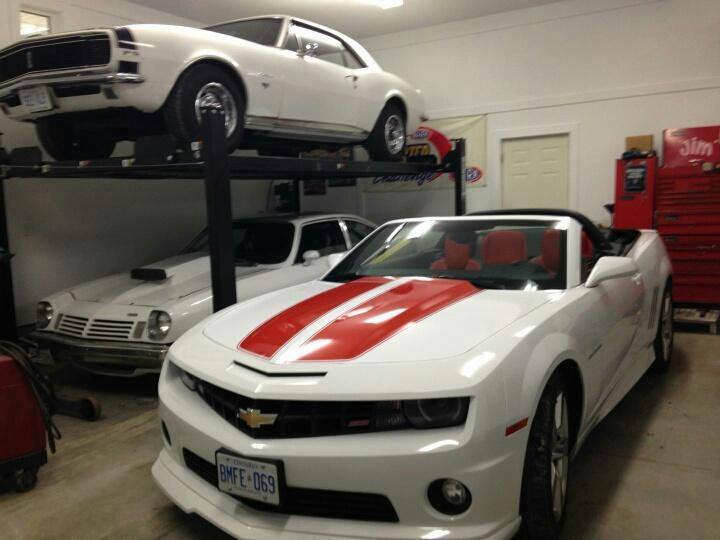 Is it time to get ready to store those classic cars for winter? We can help with 4 post lifts installed with casters. We are a Challenger lift authorized dealer for sales and service of their products. Need more information? Contact DoorTech for a free consultation to discuss your car or truck hoist needs. 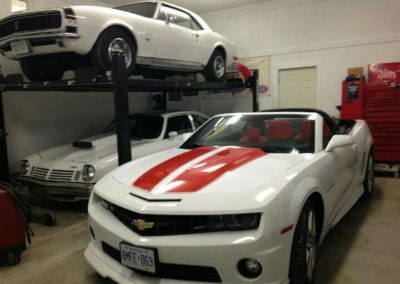 Precision Hoist Services offers a complete offering of automotive hoists ranging from 2 post lifts, 4 post lifts, scissor lifts, motorcycle lifts, storage lifts and parking lifts. Our two-post car lifts, four-post car lifts and scissor lifts are built to current safety standards. To discuss your commercial hoist needs, contact DoorTech.